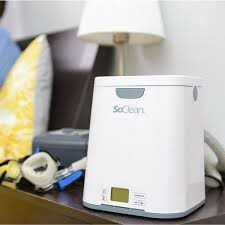 SoClean is the world's first automated CPAP cleaner and sanitizer. 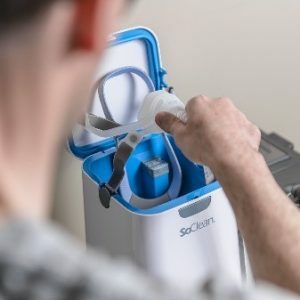 The SoClean 2 significantly simplifies CPAP cleaning, killing 99.9% of CPAP germs and bacteria in masks, hoses and reservoir with no disassembly, no water, and no chemicals. 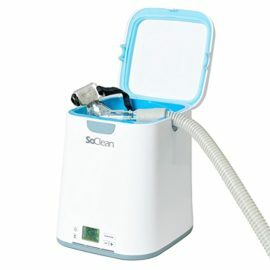 After a simple one-time setup, just place your mask inside the chamber, close the lid and The SoClean 2 does the rest, using activated oxygen cleaning to eliminate any mold, bacteria, and viruses. Why does Sleep Insights recommend it? How do I set up the SoClean 2? I'm interested. How do I purchase a SoClean 2? The SoClean 2 is $339 plus tax (includes filter and adapter). Replacement filters are $30 plus tax. Replacement adapters are $20 plus tax. It may be covered by FSA/HSA.